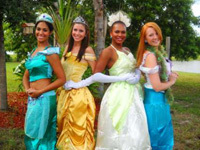 If you need a way to make your party extra fun, have some of these birthday party entertainers in NV come to your party. From balloon twisters to magicians to stilt walkers and so much more, you will find everything you need to make your party so much fun! Use this guide to just the right Nevada balloon twister. 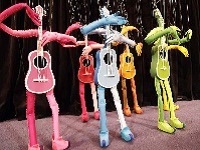 The balloon artists on this list are great or any event. All of the guests will love this type of entertainment. This guide lists the best party entertainers in Nevada. If you don't know what type of entertainment to have at your party, just look through this list and you will find your answer. This guide to the best celebrity look alikes in Nevada will help you decide who should provide the entertainment at your parties. From Marilyn to Elvis and much more you will find great impersonators on this list. 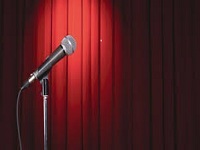 Want a stand up comedian without the comedy club? Book a comedian for your next childrens birthday party. You bring the cake and they will bring the laughs. Check out our listings for kids comedians here. Look through this guide to help you decide which Nevada clown is right for your children. You are going to have a great time when you have any of these clowns at your party. Looking for some fun birthday party entertainment? Why not try costume characters? Nothing will get your kids more excited then getting to meet their favorite cartoons and literary characters in real life! 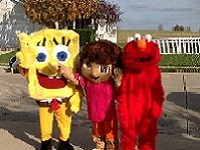 Check out our list for costume characters near you. 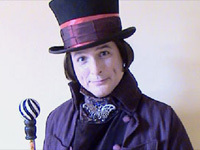 Looking for magicians for kids birthday parties? 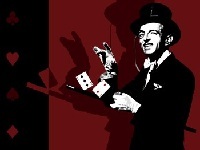 No need to look up our sleeves, we made you a list so you can hire a magician for birthday parties in Nevada. Kids magicians will bring a little mystery to your child's next birthday. Don't just turn up the volume, turn up the fun when you book musical entertainers for your next birthday party! We have a list of music entertainers for hire in Nevada. Come check them out, because after all where's the party without a little music? Does your kid have a flair for the dramatic? Bring a puppet show for their next birthday party. Check out our list of puppet shows for kids in Nevada and see who smiles first. What better way to delight your child then to invite Santa Claus over? 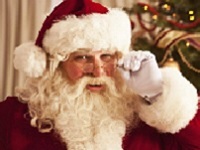 If you need to hire a Santa in Nevada check out our list. These Santas are sure to bring the spirit of Christmas to your next holiday party. 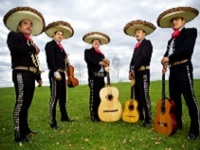 Here to make your fiesta a success, check out our list of Spanish speaking entertainers in Nevada. Birthdays just got a little more fun with these bilingual guests! 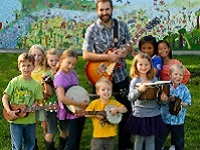 Come on and check out our list of bilingual entertainers in Nevada. 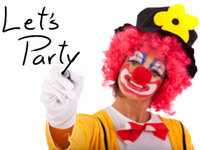 Did your kids last birthday feel a bit like a circus? How about some stilt walkers to top it off. 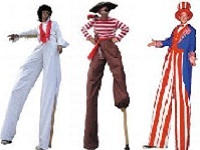 We have a list of stilt performers in Nevada ready to bring a tall order of fun. Check our list of stilt walkers for birthdays. If you need some help coming up with a birthday party theme, we've got you covered. Check out our list of unique birthday party ideas for Nevada. 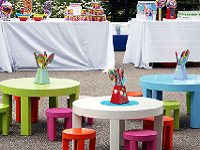 Let your kid's imagination guide you or just scroll through our list for unique birthday party ideas. Trying to throw the best party ever? You need some unique entertainment to make your party stand out above the rest. Check out our list of unique entertainers in Nevada. They are ready to make your party memorable. Don't be a dummy, they'll bring one! Hire a ventriloquist for your kid's next birthday party. These clever puppet masters will put on quite the show. 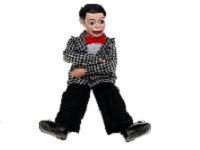 Check out our list of ventriloquist comedians for hire in Nevada. There are no strings in this routine! So get ready for some laughs and some quality birthday party entertainment when you bring a ventriloquist.